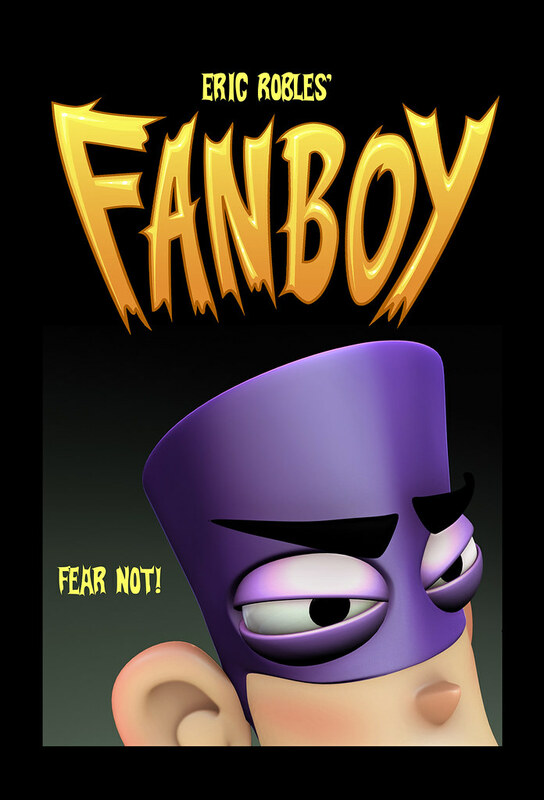 Fanboy & Chum Chum Main Title from fredseibert on Vimeo. I don’t think we’ve posted any FB&CC video yet, have we? Well, I don’t have permission to show you this in-progress main title, but I’m sure you won’t tell anyone. Effects, sound effects, voice over, final backgrounds, final title cards, and final mix yet to come. But, you get the point, yes? 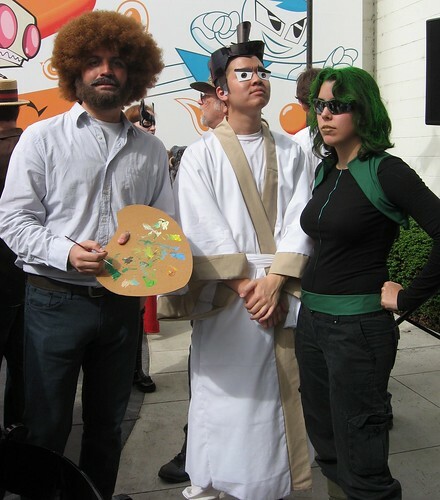 Fanboy and Chum Chum crew members Mac Middleton, Alan Chow, and Mairghread Scott as Bob Ross, Samurai Jack, and Abigail Brand. Taken at Nick’s annual Halloween bash on Friday. You all already know it (I glad you didn’t tell anyone), but today Nickelodeon officially announced the beginning of production for Eric Robles’ “Fanboy and Chum Chum”. The first Random! cartoons to go to series. Congratulations to Eric and the whole FB&CC team! From the episode “Yum Yum”. Designed by Steve, colors by Eric, and textures by Chris. 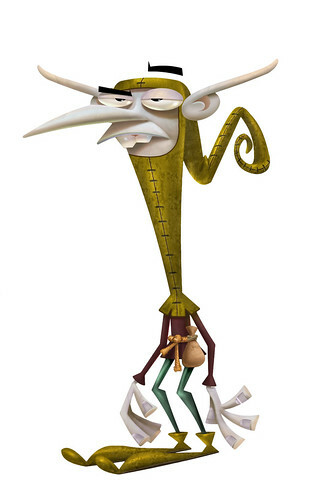 From the beginning of production, one of the must-have Fanboy and Chum Chum crew members for Eric has been background designer Caesar Martinez. The two shared an office back on The Xs at Nick and Mr Robles has been a fan ever since. Besides being able to see Caesar’s work in the original “Fanboy” Random! cartoon (when Nick breaks it out of the guarded vault, that is), you can admire his range of style in shows from Hey Arnold! to King of the Hill to the afore-mentioned Xs. What you need to do is click on Caesar’s pan below. It’ll take you to the Flickr page where you’ll get to see a larger size and, if you dare, the original ginormous view. You’ll see why the folks in the CG department here love building the sets Caesar creates. Thanks for the hard work, Caesar.